A big apology to BTWT’s faithful readers for our three week sabbatical. Dyspozytor has a new job! The upside is that this has been taking him all over the country with lots of opportunities to ride Poland’s trains and test out stations titivated for Euro 2012. The downside is that he has been returning home too exhausted to write anything useful. However, Christmas would not be Christmas without Behind The Water Tower and the holiday does provide our somewhat ancient Editor-in-Chief with a bit of a breather. So like an express steam locomotive that has been undergoing a major overhaul, BTWT’s first outing on the rails since 30 November is only a light duty, a particularly BTWTish look at trams and Metro construction in Warsaw. 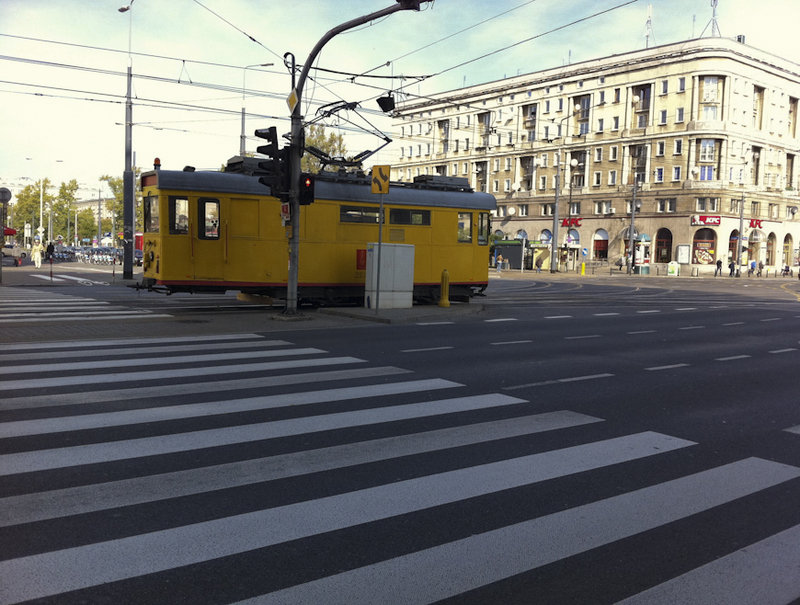 When Dyspozytor first set foot in Warsaw in the mid 1960s most of the city’s trams where 4-wheelers (N, ND and 4N, 4ND) built in batches mostly by Konstal in Chorzow between 1948 and 1961). 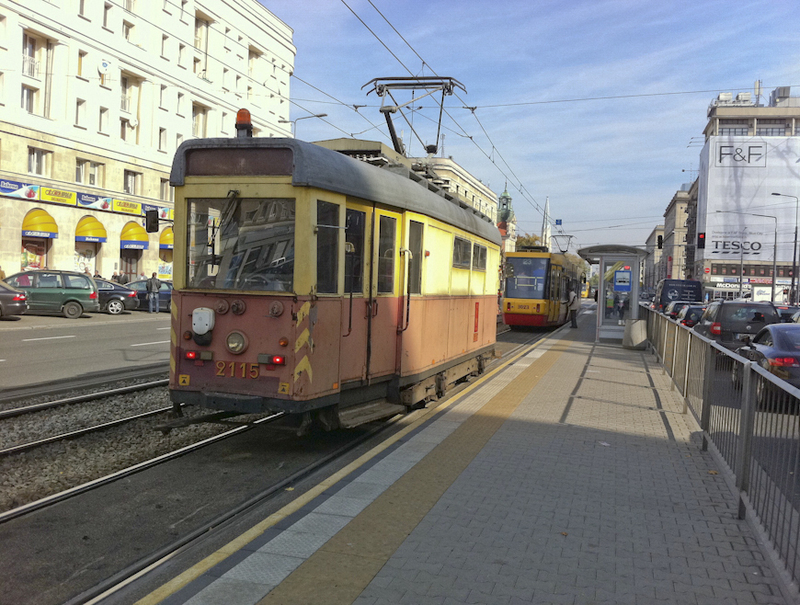 Bogie trams (13N), based on a Czech design and inspired by the 1930s PCC fast trams built in the USA, were being introduced. They were prone to breakdowns and had angled fronts and rear ends. 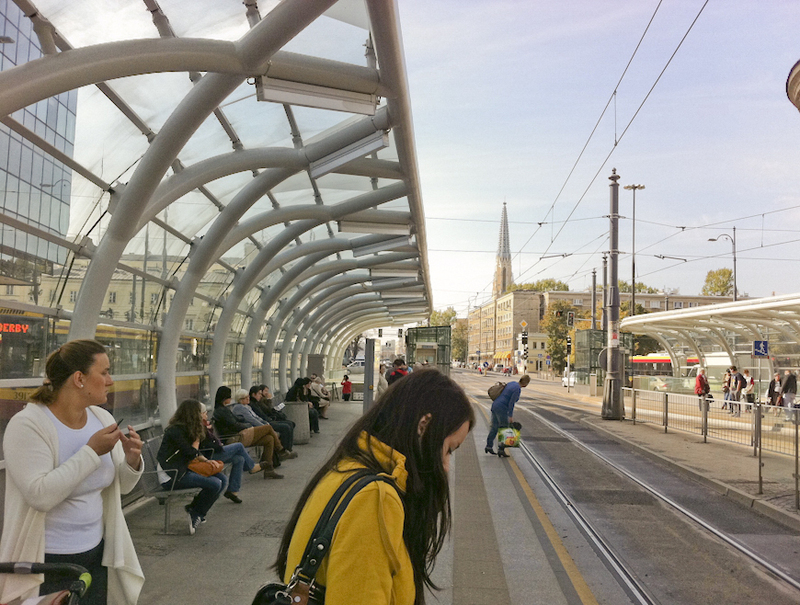 Warsaw commuters quickly nicknamed them trumny (coffins). 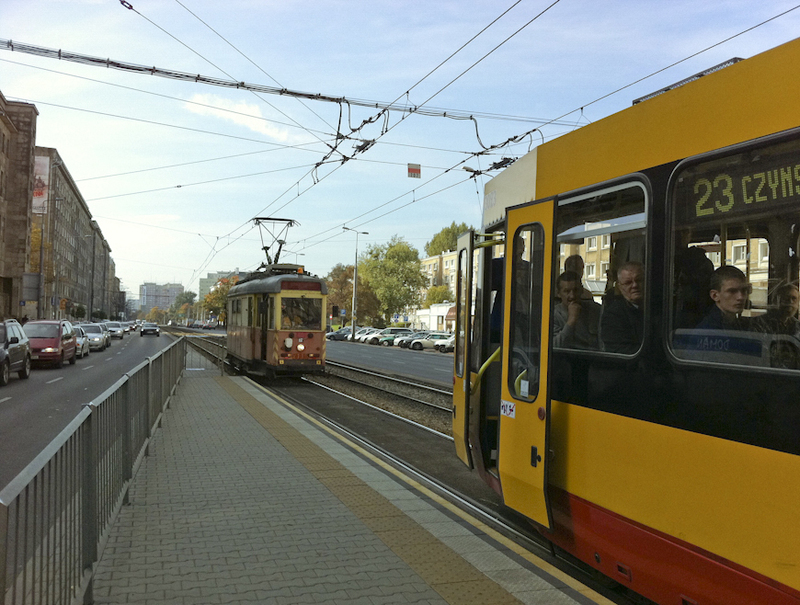 The 112N and its later derivatives (116Na and 116Na) were Warsaw’s first low floor trams and the 116Na/1 seemed set to transform Warsaw’s tram scene in the early 2000s, but it was not to be. Only 26 116Na/1s were ordered and then the City choose the more glamorous looking 120Na from PESA as its new look tram for the 2012 championships. 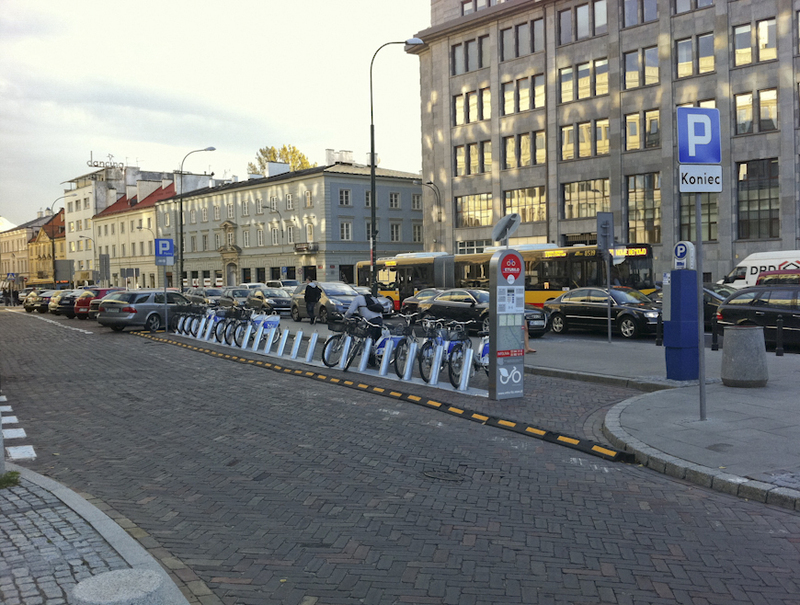 A combination of congestion charging, more ground level light rail, and decent park and ride facilities around the City’s periphery is the right answer to Warsaw’s traffic problems, NOT very expensive and agonisingly slow heavy metro construction. Oh, and some decent safe and comfortable bike routes as well!